First we discuss the construction of the signatures of curves and surfaces both in smooth and discrete cases. 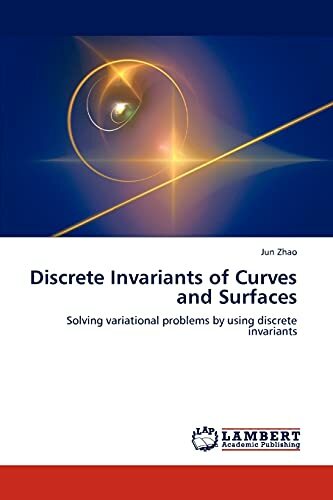 The purpose is to find appropriate differential and discrete invariants which can be used as coordinates in the pictures of signature curves and surfaces. Next we study variational problems for smooth curves and curves approximated by B-spline curves. Our main application is to the curve completion problem in 2D and 3D. In the smooth case, the aim is to find the solution of the smooth Euler-Lagrange equations which subject to curve completion problems using moving frames and syzygies. In discrete case, the aim is to find various aesthetically pleasing solutions as opposed to a solution of a physical problem. The discrete Lagrangians of interest are invariant under the special Euclidean group action for which B-spline approximated curves are well suited. Finally, a brief discussion of combining moving frames and Conformal Geometric Algebra is given. Its application in solving curve completion problems has been discussed in the end. I studied Mathematics with Computer Science and graduated from Technische Universität Darmstadt (Germany) with Master degree (Diplom) in 2006. I continued my study at the University of Kent (UK) and graduated with Doctoral degree in 2010. Since then I worked as a lecturer of mathematics at the School of Mathematics at the University of Kent.